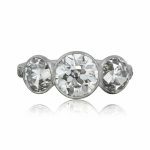 Vintage style diamond engagement ring set with a lively old mine cut diamond in the center surrounded by a row of smaller diamonds as well as one more row of smaller diamonds on the underside box. 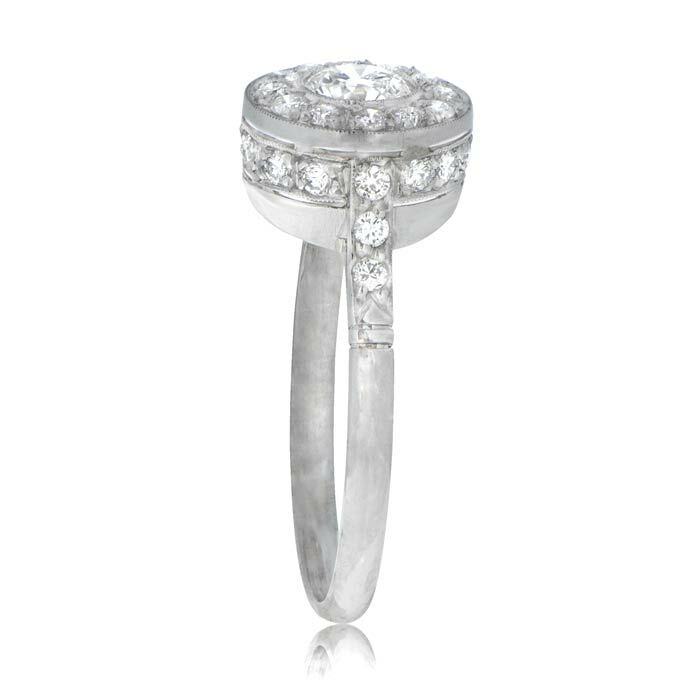 The ring is made with handmade platinum. 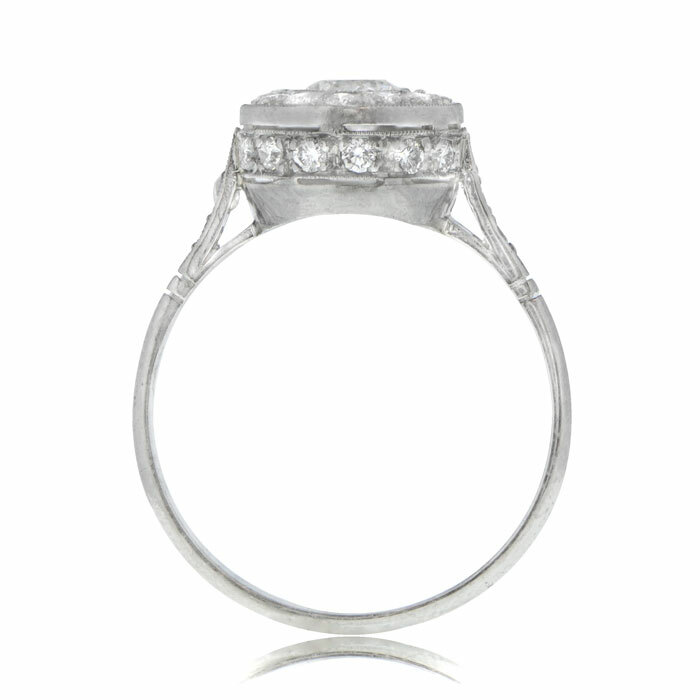 The center diamond is approximately 0.40ct to 0.45ct, H color and VS1 clarity. 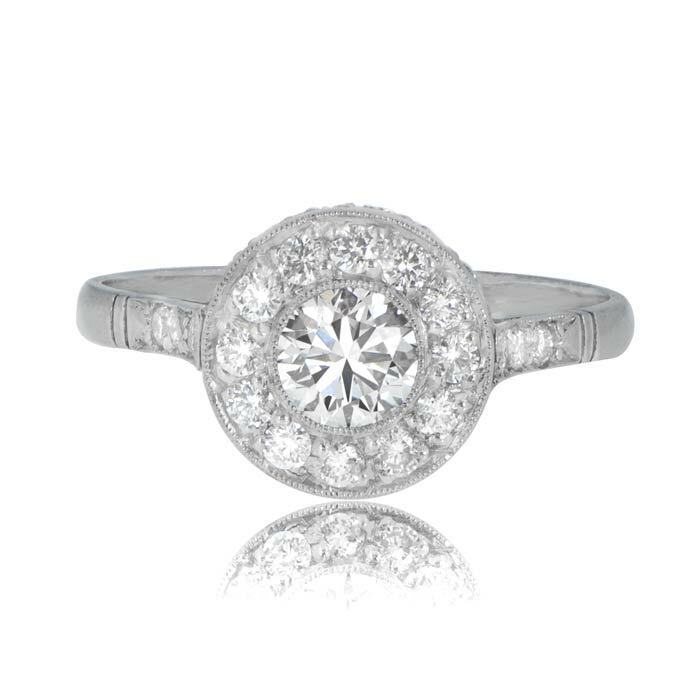 The 30 smaller diamonds weigh a total of approximately 0.60ct, and range from VS1-VS2 and G/H color. 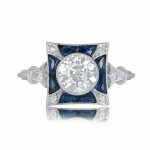 SKU: 8783 Categories: Old European Engagement Rings, Vintage Engagement Rings - Contact us and request additional pictures.